Last week was disappointing. 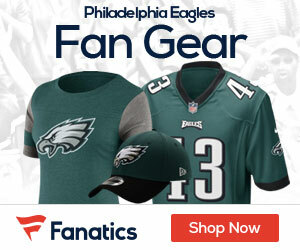 The Philadelphia Eagles took a loss to the deflated and eliminated Minnesota Vikings, at home. It’s a relief that the Eagles are already locked into the postseason as division winners. So, the last loss to the Vikings did not effect the Eagles in any way, and neither does the next game against the Cowboys. Who am I kidding? Whenever the Eagles play the Cowboys it matters. No matter what the situation. The Eagles enter the game with a (10-5) record, and as stated before they are already in the playoffs. This means that this next game against Dallas is strictly for rivalry purposes and it’s kind of a laid back game. Even thought the Eagles have come off that tough loss, there should be no love lost against a rival like Dallas. The Cowboy come into the game with a (5-10) record, and fresh off of a heartbreaking loss at the hands of the Arizona Cardinals on Christmas. Dallas has totally turned their season around and have been able to pull some impressive wins. However, they could not quite pull the win out from the Eagles in the first meeting in Dallas. The Eagles look to sweep two of their NFC East rivals, as the Cowboys look to win one in Philadelphia and avoid the sweep. Jon Kitna had a good game against the Eagles in their first meeting. He had plenty of time to throw the ball and usually found the open receiver. More so than ever on third and longs, and that killed the Eagles’ defense all game. It may be Kitna, and he is a back up QB, but he was able to tear apart the Eagles’ secondary. Tearing apart the Eagles secondary to the tune of 242 yards and two touchdowns. The Cowboys receivers are good, and that is a lot of the reason Kitna is having so much success as he is stepping in for Tony Romo. When a defense gives Kitna time to throw, the Boys’ receivers back him up and make big catches. There is one fast way to stop the Cowboys passing game. Force Kitna to make poor throws and don’t allow him time to find that open man. The Eagles’ defense has had some great success with this so far this season, and it shouldn’t be a problem against a weak Cowboys offensive line. Let’s get some pressure on Kitna. This Eagles defensive line is just too good not to have a few sacks and some forced throws on Kitna. 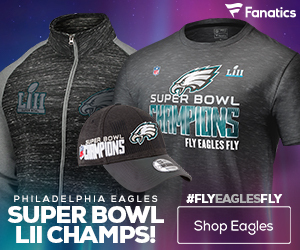 In the Eagles Tuesday Night Football game it seemed like the Philadelphia crowd was asleep the entire game, and had on effect on the game. This is rare in Philadelphia. For any sport and for any reason. Maybe everyone was just off because it was on Tuesday and not Sunday? Either way, the Eagles need some support. This is a division rival and they can make some big plays on offense and on defense. Whether or not a Dallas running back breaks free for a 70 yard touchdown run shouldn’t matter. This a home game. Against the Dallas Cowboys. Philadelphia- We need to live up to our reputation. Everyone knows the Eagles have some of the loudest and most distracting fans in the NFL. Another game like the Minnesota one, we could lose this reputation. Throughout the entire Vikings vs. Eagles game, the offense was playing incredibly conservatively. There were way too many plays that were run that gained little yardage. If it wasn’t a two or three yard completion it was a passing play that was short of the first down. Andy Reid is and Marty Mornhinweg have been playing this season with Michael Vick as a high risk and high reward type of offense. It has worked almost flawlessly. It seems like they just dropped that game plan. I’m not sure why any coach in the NFL would change an offense that was working so effectively, to something that just does not work. The Eagles offense is much more explosive and fast paced than what they were running against the Vikings. Dallas’ defense is too quick to get away with short yardage and non-agressive play calls. There will be no points on the board if the Eagles offense doesn’t play like they have in previous games. Felix Jones is a beast. He has the speed to race with a European sports car. He has the elusiveness of a magician. He has the down field vision of an air traffic controller. I have nothing but praise for Jones. I think he is one of the best young running backs in the entire NFL and he is one of the best weapons. The only reason I bring this up is because of how Adrian Peterson just exploded in the second half, and basically won the Vikings the game. If the Eagles rushing defense allows Jones and the rest of the Boys’ backfield to get moving it could be an easy game for Dallas to win. The NFL may have a pass first mentality, but it’s easy to win games with a good rushing attack. With the Eagles losing their last game to Minnesota, there is now no way that they can secure a first round bye. That makes this game essentially meaningless to the Eagles success for the regular season and into the postseason. This means that there is no reason to be playing starters. As much as every Eagles fan would love to see Michael Vick and the rest of the squad hang a 100 on the Boys’, Reid knows that postseason success comes first. This means not allowing starters to get injured in a game that has no meaning. Rival or not, I would rather have the Eagles make a Super Bowl run than pull a win over the Cowboys. 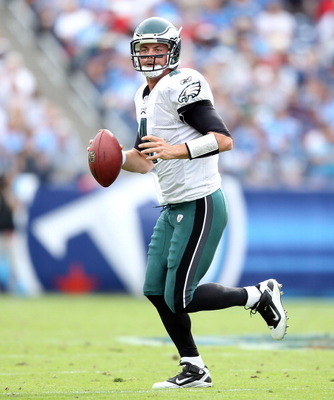 This is Kevin Kolb’s chance to raise his trade value and show that he is a starting QB. This is another great NFC East throw down. Unfortunately, with the Eagles locked into the playoffs, and the Cowboys thoroughly eliminated, the game will not be as intense as usual. I would compare this to a preseason game, where everyone is trying to prove their worth and move up as a starter. This will be a great chance for Reid to analyze his backups and see where there are some weaknesses in depth. If the Eagles don’t happen to start their offensive line, Kolb may have a long day trying to avoid taking hits. The Cowboys, even with a rejuvenated team, are still the Cowboys. The Eagles, even with backups playing, are still the Eagles. The combination of the Cowboys being eliminated from the postseason, and that Philadelphia is going to be playing backups, is just going to be to much for the Eagles. The Eagles almost lost to Dallas, and that was with all of their starters in the game. Dallas is just too much this time around.